On the cusp of two key end of year awards events – the opening of Oscar® nominations voting on January 7th and the Golden Globes® ceremonies on January 6th – it was revealed here today that “Vice”, directed by Adam McKay, received four awards including Best Picture and that Best Director kudos went to Alfonso Cuaròn for “Roma” at the just ended 23rd edition of Capri, Hollywood - The International Film Festival, which is presented here annually by the Capri in the World Institute. The Awards were announced by the iconic Italian Lina Wertmuller, honorary chairperson of the Capri in the World Institute, the Festival’s presenting organization, and by Festival founder and producer Pascal Vicedomini. Amy Adams was named Best Supporting Actress for “Vice,” which was also recognized in the Best Film Editing and Best Makeup and Hairstyling categories. They also revealed that “A Star Is Born,” directed by Bradley Cooper, and “Roma” each scored three awards. 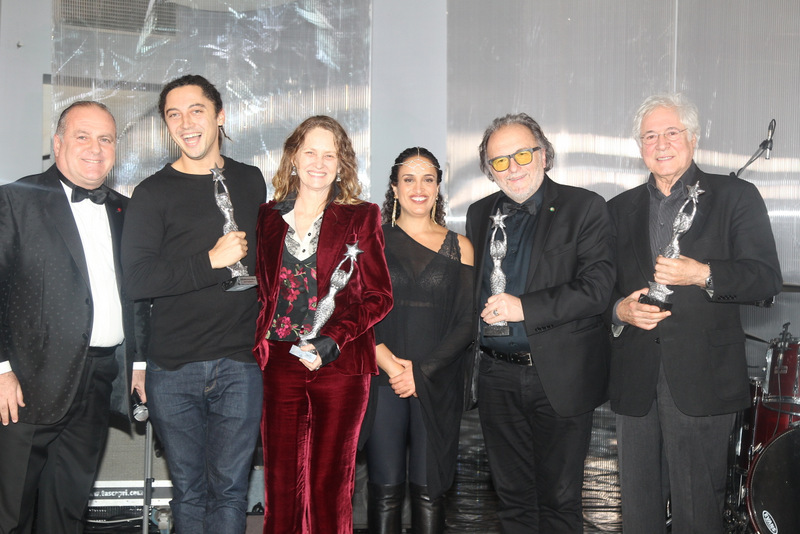 In addition to its Best Director nod, “Roma” was cited as Best Foreign Language Film and for Best Production Design (Eugenio Caballero and Barbara Enriquez). “A Star Is Born” received kudos for Best Sound Editing, Best Sound Mixing and Best Original Song. Two awards went to “The Wife” (Best Actress, Glenn Close, and Best Supporting Actor, Jonathan Pryce), and to “First Man,” for Best Visual Effects and Best Original Score. Writing awards went to “Green Book,” Best Original Screenplay, and “Blackkklansman, Best Adapted Screenplay. The Italian Actor Marcello Fonte, previously honored at Cannes Film Festival and at the EFA Awards, received the top acting prize for the Matteo Garrone's movie "Dogman". "This was an extraordinary year for the quality of the artists who attended, and the variety of works presented at Capri, Hollywood," said Wertmuller and Vicedomini at the close of the fest. "We’re positive that most of our award winners will go on to be honored at the Golden Globes and the Oscars. Best wishes to everyone and we are looking forward seeing you in Los Angeles at the 2019 edition the LA, Italia Film, Fashion & Art Fest (February 17-23). The 23rd edition of the Capri, Hollywood - The International Film Fest was chaired by the American director Lee Daniels. The festival traditionally offers a fundamental contribution to the season of the global Awards, bringing celebrities and awaited film productions to the Gulf of Naples. Since 1995 Capri, Hollywood has promoted tourism in southern Italy during the winter highlighting new ideas for recreation and exploration of the region; the event has the support of the Cinema Department of the Italian Ministry of Culture, the Campania Region, the City of Capri and the Municipality of Anacapri, as well as several private sponsors. ''Roma” by Alfonso Cuaròn will be awarded the "Best Film in a Foreign Language” prize at 23rd edition of ''Capri, Hollywood"
Jonathan Pryce will receive the 2018 Capri Hollywood – The International Film Festival’s "Legend Award"